Kotobee Author Basic Plan 1.4.2 (Win&Mac) was available as a giveaway on July 23, 2018! Kotobee Author is a comprehensive ebook creator and EPUB editor, suitable for textbooks, storybooks, magazines and everything in between. With Kotobee Author you can create interactive ebooks rich with video, audio, 3D visuals, widgets, questions, and more. Kotobee Author allows you to export to all top platforms, such as EPUB, MOBI (Kindle), Web apps, Desktop apps, and Chrome apps (Android & iOS app export available only for Premium users). The GOTD exclusive license, allows you to brand your web and desktop apps with your own logo instead of Kotobee's. You will be allowed 1 month of free software updates. The quick guide to get started! How would you improve Kotobee Author Basic Plan 1.4.2 (Win&Mac)? Note to anyone who downloaded this - we're within the one month of free updates and version 1.4.3 is available. Tried registering for a key, but received an email saying that my email address was already registered. Probably from the 2016 1.2.1 GotD, but after searching through my email I don't think I ever got a key from that one. Not sure how to get a key for this update. Any ideas? Nach rd. 60 x klicken auf den irren Chapta - da hat man sich den Kaufpreis allein durch diesen Aufwand gebührend verdient! - kam das: "This email is already registered. An email has been sent with instructions on how to delete this account, in case you'd like to use that same email for registration." Also nix. Bemerkung: Auch bei Abgabe dieses Feedback wurde Bedacht auf schwierige und aufwändige ChaptaBeschäftigung großen Wert gelegt. Da vergeht einem die Lust auf Feedback. Ist das etwa beabsichtigt? Nach rd. 60 x klicken auf den irren Chapta - da hat man sich den Kaufpreis allein durch diesen Aufwand gebührend verdient! - kam das: "This email is already registered. An email has been sent with instructions on how to delete this account, in case you'd like to use that same email for registration." Also nix. Bemerkung: Auch bei Abgabe dieses Feedback wurde Bedacht auf schwierige und aufwändige ChaptaBeschäftigung großen Wert gelegt. Da vergeht einem die Lust auf Feedback. Ist das etwa beabsichtigt? I liked very much and was attracted by the fact that the developer answers all questions. When they don't I usually keep away. I downloaded and installed with a highly complicated process of going backwards and forwards to sites, emails (two) and so on, till eventually the icon was on the desktop. Then having got and saved the registration key by this complicated business I tried to start the programme so as to insert the registration key. I cannot put up with more of this. I liked very much and was attracted by the fact that the developer answers all questions. When they don't I usually keep away. I downloaded and installed with a highly complicated process of going backwards and forwards to sites, emails (two) and so on, till eventually the icon was on the desktop. Then having got and saved the registration key by this complicated business I tried to start the programme so as to insert the registration key. But no! I got the following message: ‘The procedure entry point ReleaseSRWLockExclusive could not be located in the dynamic link library KERNEL32.dll’ whatever all that means. (No doubt TK will understand it.) I cannot put up with more of this. Laxative, By time I get a reply I will be in bed and when I get up will be too late to register. A great pity. Laxative, don't worry, we'll give you that same license even after that giveaway expires. So which Windows version did you install (32 bit or 64 bit) and was it the correct version? Perhaps you can try the other one. Go to www.kotobee.com/pricing and from there you'll be able to download the specific software (in case you had already deleted the GOTD bundle). Laxative, don't worry, we'll give you that same license even after that giveaway expires. So which Windows version did you install (32 bit or 64 bit) and was it the correct version? Perhaps you can try the other one. Go to www.kotobee.com/pricing and from there you'll be able to download the specific software (in case you had already deleted the GOTD bundle). Ayman, Thank you very much. 1. I used the 32 bit, do not have a 64 bit system. 2. You do not specify system requirements, only a link, and it does not specify them there either. 3. I tried installing on my laptop — I do not want it on my laptop for various reasons, but tried it. Same result. 4. I then totally removed it from the laptop but still have everything on the main computer (downloaded zip file, unzipped instal file, full installation, desktop icon) and the regitration code in a special file to hold it till I use it. 5. I strongly suspect system requirements. 6. If I find your email address I will repeat all this there if no reply here. Ayman, Thank you very much. 1. I used the 32 bit, do not have a 64 bit system. 2. You do not specify system requirements, only a link, and it does not specify them there either. 3. I tried installing on my laptop — I do not want it on my laptop for various reasons, but tried it. Same result. 4. I then totally removed it from the laptop but still have everything on the main computer (downloaded zip file, unzipped instal file, full installation, desktop icon) and the regitration code in a special file to hold it till I use it. 5. I strongly suspect system requirements. 6. If I find your email address I will repeat all this there if no reply here. Laxative, we did send GOTD the system requirements. Are you using Windows XP? We don't support Windows XP unfortunately. Which OS are you using? Ayman, My guess was right. I am using XP. GOTD under ‘system requirements' simply put a link! A great pity, as an author of sorts I looked forward to the programme. I will delete everything. But at least thank you for answering and dealing with the matter, which is not always the case with others! Ayman, My guess was right. I am using XP. GOTD under ‘system requirements' simply put a link! A great pity, as an author of sorts I looked forward to the programme. I will delete everything. But at least thank you for answering and dealing with the matter, which is not always the case with others! Laxative, sorry this didn't work out. If you happen to get a new Windows version, I'll be happy to give you this giveaway offer. Thanks for your polite attitude, and also for replying to other people's comments/concerns. Laxative, sorry this didn't work out. If you happen to get a new Windows version, I'll be happy to give you this giveaway offer. Thanks for your polite attitude, and also for replying to other people's comments/concerns. Download: fast; Install: flawless (I paused Kaspersky); Registration: 1st try, no problems. I watched the Tour and I'm really anxious to use Kotobee. Purpose is to document Family History (Tree) for about 600 ancestors and then distrubute to family members and publish online. This is my first experience with eBooks. The GOTD registration process was very confusing and I ended up with only a one-month trial registration number. Hence I will not be reviewing your product, using it, or referring it. Isn't what you wrote a review? Bob Dolph, Isn't what you wrote a review? Yes, a review of GOTD registration, but not of the product performance itself. Fred Sanders, Yes, a review of GOTD registration, but not of the product performance itself. Download / installation / registration - no problems. The programme seems easy enough to use and there's a lot of help - quick tour guide, interactive help, forums etc. It has a preview that you can see what your book will look like on different devices. Importing pdf and epub failed a few times – it would say it had imported but all pages showed blank. In all cases it worked when I tried again - it just didn't work first time. Expensive compared to other publishing software and very expensive especially for mobile exports because it limits the amount of apps you can create - and then I guess you're going to pay every time you release an update. Built-in advertising locked to only use Google’s Admob. PDF export removes interactive elements – i.e. your links won’t work. Pro’s: Download / installation / registration - no problems. The programme seems easy enough to use and there's a lot of help - quick tour guide, interactive help, forums etc. It has a preview that you can see what your book will look like on different devices. Cons: Importing pdf and epub failed a few times – it would say it had imported but all pages showed blank. In all cases it worked when I tried again - it just didn't work first time. Importing a 10mb pdf that is cartoons created in landscape mode – tried to export it with the following results (this is a published book): * epub format – created a 95mb file (published epub is 12mb) * pdf format – create a portrait pdf output file of 23mb with every picture simply chopped in half. (I couldn't find a setting to change the output to landscape mode and had ticked a block that said fit to screen but it must do something else.) Expensive compared to other publishing software and very expensive especially for mobile exports because it limits the amount of apps you can create - and then I guess you're going to pay every time you release an update. Built-in advertising locked to only use Google’s Admob. PDF export removes interactive elements – i.e. your links won’t work. JJ , also if you can mention a few of those other publishing software that are cheaper and provide more, it would put things into context for us. I noted that your basic 1 user $100 lifetime license only includes upgrades for 1 year. That's not a lifetime license then - it's an annual license. Also see Xara, Microsoft Publisher. Then Smashwords will take a Microsoft Word document and create and publish an epub book for you ... for free - and list it on their site and distribute it also for free. And then if you want to publish books / text as mobile apps - well there is game development software that a lot of people use to create visual novels as .apk or .exe - and some of them have tier pricing which means you don't have to pay unless you start making "real" money out of your products - so they would be free for most people - see for example Unity and Unreal. They have no limits on how many mobile apps you create. Ayman, What I was comparing were created in Serif's PagePlus - several versions ago - the publishing is just a small part of the entire PagePlus package but it costs a lot less than your product. (Likely Serif's new Affinity Publisher will be cheaper than your product as well.) I noted that your basic 1 user $100 lifetime license only includes upgrades for 1 year. That's not a lifetime license then - it's an annual license. Also see Xara, Microsoft Publisher. Then Smashwords will take a Microsoft Word document and create and publish an epub book for you ... for free - and list it on their site and distribute it also for free. And then if you want to publish books / text as mobile apps - well there is game development software that a lot of people use to create visual novels as .apk or .exe - and some of them have tier pricing which means you don't have to pay unless you start making "real" money out of your products - so they would be free for most people - see for example Unity and Unreal. They have no limits on how many mobile apps you create. JJ , You should have ticked ‘fit to page’, not ‘fit to screen’. That might perhaps have helped. I don't want to brag about what we're offering - I prefer our users to do that for us. But convince someone to go through all those different programs you mentioned to have a multi-platform ebook, (and wow, develop a mobile app on a game development environment lol) versus designing your ebook just once (or importing it) in Kotobee Author, then exporting it to all the formats you mentioned: epub, mobi, HTML5 app, Windows desktop app, Mac desktop app, Chrome app, Android, iOS, Windows Phone, SCORM. JJ , seriously? :) I don't want to brag about what we're offering - I prefer our users to do that for us. But convince someone to go through all those different programs you mentioned to have a multi-platform ebook, (and wow, develop a mobile app on a game development environment lol) versus designing your ebook just once (or importing it) in Kotobee Author, then exporting it to all the formats you mentioned: epub, mobi, HTML5 app, Windows desktop app, Mac desktop app, Chrome app, Android, iOS, Windows Phone, SCORM. We'll make sure to include a "dont show again" option in our next release. JohnL, I can't promise that. Closing that window is a small price to pay, in return for all the free features you're getting for life. This user either does not exist, or has already been activated. This is the information I received, and I have never activated this software before. I hope it will still work for the free month of updates because I didn't receive a serial number. I am going to register using Google instead of Internet Explorer and see what happens. The company shouldn't send an email stating that this user either does not exist, or has already been activated. Then after five minutes, they send the code for me to activate the software. This could confuse the user regarding activation. Ayman, I never had an old account to delete. This was my first time downloading the software. Monique , clearly that's a mistake somewhere. Can you give me your email to look into it? Ayman, same problem here !!?? What it means, you do not even have to give it true data? System Requirements: https://www.kotobee.com/en/products/author What it means, you do not even have to give it true data? JardaH, can you please elaborate? I didn't understand. It downloaded and installed okay and the serial number came quickly. All the options show as expiring in one month, so from then on you just get the basic program. That does mean if you want to do your book as an App you'd better type quickly. It does have good reviews so I'm giving it a go. 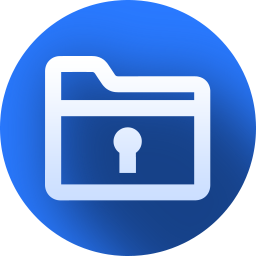 JohnL, the license does not expire, but you will be able to download free updates for just 1 month. Ayman, doesn't "All the options show as expiring in one month, so from then on you just get the basic program" cover that, or wasn't I clear enough? JohnL, I honestly don't understand what you're saying. To summarize, your license has a set of paid features that will last forever. Along with the license, there's a trial for "Kotobee Cloud" and "Kotobee Library" which would expire after 30 days. 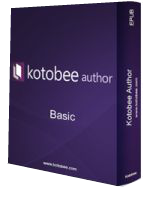 If we make a new release of Kotobee Author within 30 days, you're eligible for the upgrade. JohnL, I honestly don't understand what you're saying. To summarize, your license has a set of paid features that will last forever. Along with the license, there's a trial for "Kotobee Cloud" and "Kotobee Library" which would expire after 30 days. If we make a new release of Kotobee Author within 30 days, you're eligible for the upgrade. Ayman, That's basically what I said in my original post. There's the basic program which keeps on working and assorted bonus bits that will stop in a month. JohnL, ah ok, apologies for misunderstanding. The subscriptions page in the software says "Basic License (Giveaway of the Day" with a Renewal date of 22 Aug 2018. Could someone please confirm, is this a lifetime license or just a 1-month trial? Ollie, read the software description. It is a lifetime license allowing up to 1 month of free software updates (upgrades). Ayman, Strictly you appear to get more than updates for the first month, assorted other things too. Scroll to the section saying "Kotobee Author Basic Licenses"
JohnL, here's a description of what you're getting, with the exception of 1 month of free updates instead of 1 year: http://support.kotobee.com/en/support/solutions/articles/8000016872-kotobee-author-licenses Scroll to the section saying "Kotobee Author Basic Licenses"
This email is already registered. An email has been sent with instructions on how to delete this account, in case you'd like to use that same email for registration. I have replied to the email with my consent to delete the account. Tried to register and got the same message. This email is already registered. An email has been sent with instructions on how to delete this account, in case you'd like to use that same email for registration. I have replied to the email with my consent to delete the account. Tried to register and got the same message. William, did someone reply back? Which email did you send from? I have responded to the 6:01 AM email, the 6:06 AM email and the 5:26 PM email each time giving my consent to delete the old account. I am still receiving the same error message when trying to register. Ayman, I have responded to the 6:01 AM email, the 6:06 AM email and the 5:26 PM email each time giving my consent to delete the old account. I am still receiving the same error message when trying to register. Ayman, I have now replied five times to received emails and given my consent to delete the existing account so I can register the program. Time is getting short and I will not be able to register the program before the giveaway expires. Ayman, I started trying to get a serial number before 06:00 AM, this morning. It is now after 11:00 PM and still no serial number! Since no one seems to read the requested email replies that I have sent in accordance with the emails that I have received, I am forced to say that I recommend the FREE epub editor in the FREE program Calibre! I have used Kotobee and thought that there was some value. However, a company that fails to respond to the requested replies to emails and cannot provide a serial number for a program offered on giveaway of the day probably does not deserve payment for a program that does little more than free programs. I've replied back and deleted your account. Can you please try again now? William, can't a man get a few hours of sleep :( I've replied back and deleted your account. Can you please try again now? Apologies for the delay. What a pity. Sorry we've taken a lot of your valuable minutes to offer you a free license. 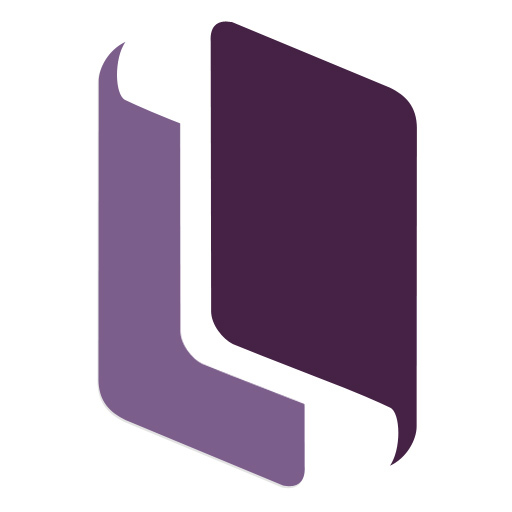 Calibre is great, if you'd like to be missing out on interactivity and exporting web/desktop apps out of your ebooks. Good luck! What a pity. Sorry we've taken a lot of your valuable minutes to offer you a free license. Calibre is great, if you'd like to be missing out on interactivity and exporting web/desktop apps out of your ebooks. Good luck! Andy, what is the URL you are accessing? I was able to write my email to get the download link and i did receive the download link. When I clicked on it, it gives me 404 error. Ayman, I was able to write my email to get the download link and i did receive the download link. When I clicked on it, it gives me 404 error. Andy, the link in the email worked fine for me ... although the server seems to be throttled ... took quite a long time to download the 204MB file -- reminded me of the days when we used to use a 9600 baud modem on the phone !! But the link does work. can we communicate through email to find an alternative solution? JimC, Sorry to say this but till now this link still gives 404 error can we communicate through email to find an alternative solution? This GOTD is a generous giveaway from KotoBee. I would be very disappointed to miss it. It's been error 404 till now. Can you please offer me another way to get it? Maybe give me a different URL to download plus the GOTD activation code? JimC, This GOTD is a generous giveaway from KotoBee. I would be very disappointed to miss it. It's been error 404 till now. Can you please offer me another way to get it? Maybe give me a different URL to download plus the GOTD activation code? Andy Yeo, email us at info@kotobee.com and we'll set you up. Looking forward to trying your program. I do find it humorous that being an eBook creator all the people that commented so far seem unable to read going by all the questions you have answered so far. Thank You. Ayman, Looking forward to trying your program. I do find it humorous that being an eBook creator all the people that commented so far seem unable to read going by all the questions you have answered so far. Thank You.